My wife Lorisa and I have over 18 years combined Real Estate experience and have sold near 400 properties in the past 9 years. We are residents of Jonesboro, Arkansas. We provide world class service and live by the golden rule. We work hard for our clients before, during and after the sale. We will provide multiple references upon request. Bought a Single Family home in 2018 for approximately $150K in Pardew, Jonesboro, AR. Ten Stars!! 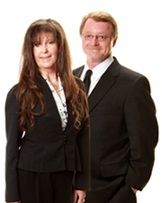 Dell & Lorisa are the dynamic duo of real estate. I would highly recommend them if you are in the market for a new home or planning to put yours on the market. Dell was available 24/7 and worked very hard to locate my new home and close the deal. Well informed and very dedicated. Thank you for everything! Bought a Single Family home in 2018 for approximately $150K in Duncan, Jonesboro, AR. Dell Parker was wonderful to work with. He answered all of our questions promptly and honestly. He went above and beyond to help us get our home. He made us feel like friends instead of just clients. I would definitely do business with him again and I will recommend him to all my friends. Bought a Single Family home in 2013 for approximately $150K in Valley View, Jonesboro, AR. Dell is fantastic. He responds so quickly to any questions we might have. He and his wife are the perfect team. We had to take our kids on house hunts and they were so patient with us house to house. We won’t use any other realtor! This won't to take this time to say thank you very much Dell Parker . You done a great job selling our land. With us being out of town you Handled everything for us you are the best . Sold a home in 2017 in Beech Grove, AR 72412. Dell and Lorissa Parker are great! I wasn't even sure I wanted to sell, but he made the whole transaction easy. He communicated with me every step of the way! He knows his business and has been there for us every step of they way! You won't find a more genuine, nicer guy! Bought a Mobile / Manufactured home in 2017 in Prospect, Jonesboro, AR. I called Mr. Parker at 8:45pm on a Sunday night. He promptly answered my call. By 11:00pm he had submitted a contract and got an acceptance. He was very knowledgeable and answered all my questions. I would highly recommend him to everyone. It didn't matter what time of night it was, they were ready to go and look at the property and then back to the office for all of the paperwork. He explained the process in detail and has been available in every part of the process including recomendations. Showed home in 2017 in Lorado, Paragould, AR 72450. Dell and Lorisa are great to work with and very accommodating. They listen and work very hard to get you exactly what you ask for! Both very knowledgeable and helpful every step of the way! You won't find two harder workers! Bought a Single Family home in 2017 for approximately $250K in Valley View, Jonesboro, AR. My husband and I recently bought a home from Dell in jonesboro and the process was so easy. Dell kept us up to date daily with all the information and responded very quickly with any calls, texts or emails we sent. He also met us at the house with short notice to look at it multiple times before closing. We planned to be signing papers for an hour at closing but because Dell is very organized and well prepared we were there 20 minutes max. Thank you so much for helping us find the perfect home! It was my pleasure to work it's you guys and I'm glad I had the opportunity!!! Thank you both!! !